The prosody is a communicative linguistic function, which results from the intonation, cadence, accent, and physical duration of the words. The prosody enhances the comprehension or the composed words, the basic emotions (rage, fear, sadness, surprise, disgust, pleasure), the subtle emotional aspects of the discourse (irony, sarcasm, deception, boredom, solace), and allows the differentiation of declarative, interrogative, and imperative phrases. Thus, the expressive (affective) dysprosody is a suprasegmental deficit of language which should not be explained by a motor (dysarthria) or premotor (language apraxia) deficit, nor phonological or aphasic dysfunction (such as agrammatism and anomia). The patients with receptive dysprosody do not understand the emotional information of the phrases or the meaning of gesticulation. Affective dysprosody could be an early predictor of post-stroke depression.Several studies on brain-damaged patients and normal subjects demonstrated the dominant role of the right hemisphere for prosody. In acute stroke settings, the assessment of dysprosody by bedside tests could help in localizing the lesion to the right hemisphere. Dysprosody, during epileptic seizures, has been linked to right hemisphere foci. The profile of anatomical correlation of prosodic syndromes (motor aprosodia for anterior and receptive dysprosody for posterior lesions) seems to parallel one of the aphasic syndromes of the left hemisphere. Functional neuroimaging studies on normal subjects also provided a dichotomous scenario for linguistic functions such as the left hemisphere dominance for phonological and phonetic aspects versus the right hemisphere dominance for the emotional aspects. Dysprosody might be amenable to behavioral treatments. A case of apraxic agraphia? Apraxic agraphia is a very rare condition. The examiner should think about it when the patient shows normal linguistic capabilities (conversation is normal or almost normal) together with severely impaired writing. Apraxic agraphia is a peripheral writing disorder. Patients with apraxic agraphia have reduced ability to make the motor movements needed to write letters and sequence writting strokes. However, they usually have unimpaired capabilities of oral spelling. In the case of apraxic agraphia, writing is hesitant, imprecise and the disorder should not be explained by motor, sensory, extrapyramidal or cerebellar deficits and executive dysfunction (perseverations). In case of stroke apraxic agraphia has been reported with frontal, parietal and thalamic lesions. Apraxic agraphia can manifest also with frontotemporal dementia and corticobasal syndrome. Recently, I examined a 60 years old left-handed man, who had brain multiple ischemic stroke due to an hypercoagulability “trousseau’s syndrome”. The brain MRI showed 2 large lesions respectively of the left superficial territory of the posterior cerebral artery (occipital-temporal basal regions) and of the right parietal supramarginal gyrus. Motor and sensory examination was normal. This patient had normal linguistic output (normal conversation), mild denomination deficit, signs of visual apperceptive agnosia, alexia (letter-by-letter reading), and some features of apraxic agraphia. Oral spelling was spared. 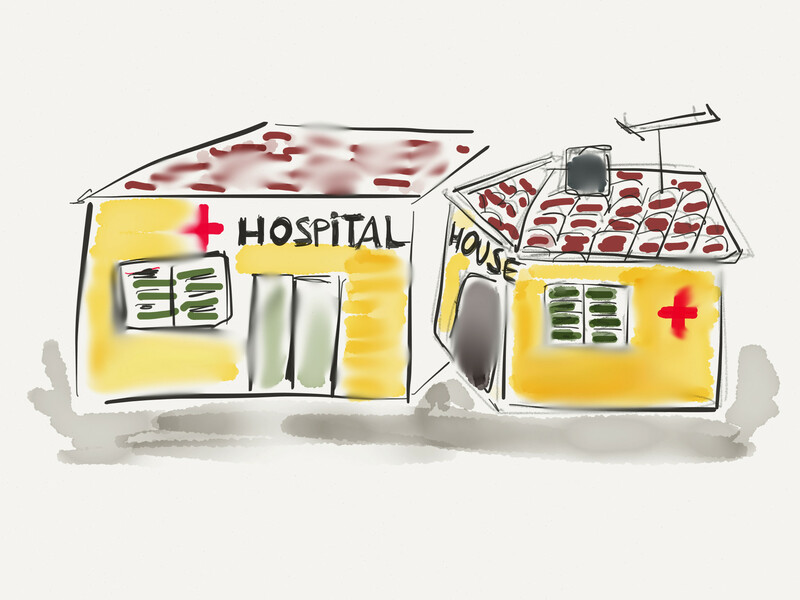 The patient’s writing was extremely low and hesitant as he did not remember how to do it. An example of the patient’s writing on dictation is reported in the figure. In this case, it is difficult to establish clinical-anatomical correlations (the same dysfunction is at the origin of both agraphia and alexia? ), without further assessment but patients with atypical dominance could help in dissociating mechanisms of neurocognitive syndromes. Could you suggest your personal protocol to assess agraphia? Micrographia is a frequent symptom of Parkinson’s disease, often one of the first. Its association with the disease is straightforward: 75-90% of patients with Parkinson show micrographia, the presence of micrographia allows the diagnosis of PD in almost all cases. In other less frequent disorders, micrographia is associated with other parkinsonisms (Huntington’s disease, Wilson’s disease, Progressive Supranuclear Palsy, Binswanger’s disease and so on), which have degenerative, genetic or vascular causes and which all impair basal ganglia circuits as it happens with PD. Micrographia denotes a small handwriting, which generally is also slow and less accurate. Micrographia can be also detected by asking to the patient to write by air movements of the fingers. Patients with handwriting do also small drawings (see the watch in the figure). Specific software on computer and tablets allows measuring accurately the handwriting characteristics (size, duration, speed and fluency). Such digital measures of handwriting would help formulating the diagnosis of PD in the earlier phases. 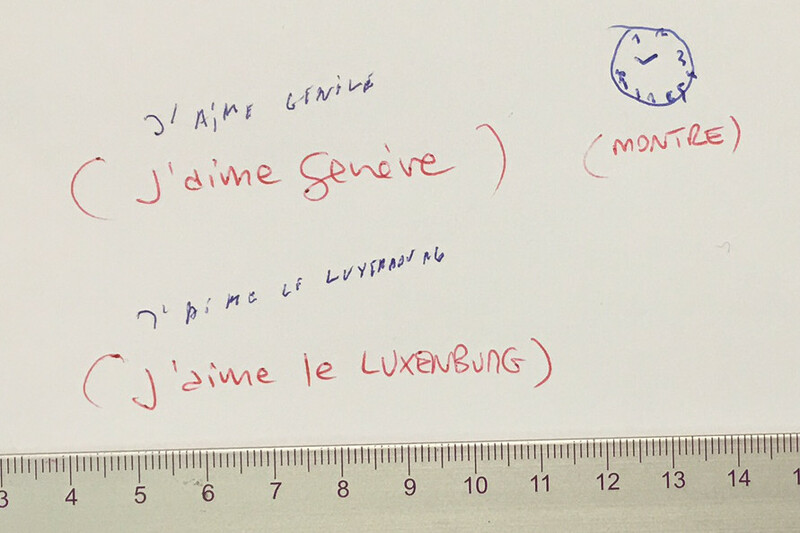 It would be important for PD diagnosis, even, without any specific measure, to compare visually the actual handwriting of the patients with the previous examples of the years before. Two variants are described, although, they often coexist in the same patient. “Constant micrographia” is the constantly reduced form of the small handwriting. This is the general and distinctive feature of the micrographia itself. On the other hand, “Progressive micrographia” is the tendency for handwriting to reduce progressively its size more and more in the course of writing. This corresponds to the general “sequence effect”, a well-known phenomenon in patients with PD or other parkinsonisms, consisting in progressively reducing the amplitude and fluency of motor sequences (parkinsonian gait festination and/or gait freezing are examples). Similar to the progressive micrographia, in the case of gait festination, the patient involuntarily moves with short, accelerating steps, often on tiptoe, with the trunk flexed forward and the legs flexed stiffly at the hips and knees. The “constant micrographia” is the direct expression of the dysfunction of dopaminergic motor circuits of the basal ganglia and can improve with levodopa or by training in handwriting rehabilitation. Progressive micrographia is determined by the dysfunction of larger connectivity of brain areas (including cerebellum or parietal and motor/premotor cortical areas) and less responsive to dopamine or rehabilitative programs. Micrographia should be assessed and measured with digital instruments in PD patients, not only for diagnostic purposes but also to monitor and quantify the improvement of patients with pharmacological and rehabilitative treatments. Early prediction of functional outcome is important in stroke management to introduce rehabilitation programs with realistic objectives. These objectives should be periodically checked and continuously readapted with the salient clinical aspects of the patient recovery. Outcome is generally better for deep cerebral hemorrhage than for subarachnoid hemorrhage and ischemic stroke. The influence of the lesion size and side is controversial, but the best predictor for a more negative outcome remains the severity of the deficits at the stroke onset. 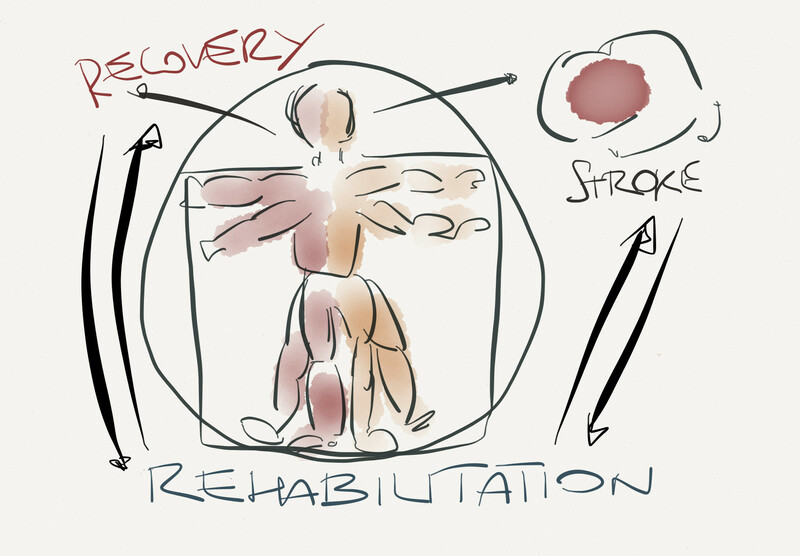 Most recovery of sensorimotor and cognitive deficits occurs in the first three months and this is undoubtedly the optimal time for intensive inpatient rehabilitation. Recovery continues at a slower pace throughout the first year or up to several years. Low-level functions (sensorimotor deficits processed by primary brain areas) often improve before than cognitive functions (attention, memory, language, and the other faculties processed by integrative or associative areas). Cognitive deficits (particularly aphasia, neglect, and executive dysfunction, low Mini-Mental State Examination scores), and mood disturbances have a strong negative impact on the degree of autonomy after stroke. In the earliest phases, recovery depends on the resolution of edema and reperfusion of the ischemic penumbra. During the following weeks, months and years, recovery is enhanced by the plasticity of the brain. Mechanisms of brain plasticity are both structural (sprouting of fibers from the surviving neurons with formation of new synapses) and functional (extension of the cortical map, the emergency of alternative pattern of activation within the neural network including the damaged area, unmasking of previously existing but functionally inactive pathways, the use of alternative strategies and brain circuitries to resolve the same task). All these mechanisms of recovery have been demonstrated in humans and animals and are modulated by experience and training. Functional neuroimaging studies have provided considerable evidence that the reorganization of the injured brain can be modulated by activity, behavior, and skill acquisition. These studies suggest that combining therapies, foreseeing greater intensities of therapies, and increasing overall afferent inputs may improve stroke outcome. While there is evidence that recovery of cognitive functions is supported by mechanisms of brain plasticity, the actual challenge is to identify which of the processes identified are important and how they can be enhanced by specific behavioral or pharmacological interventions. Cognitive therapies for the individual patient should be supported by high quality evidence-based practice. Randomized controlled trials and rigorous meta-analysis studies are widely accepted as the more robust methodology for research into clinical treatments. Nevertheless, neurologic and cognitive rehabilitation is a particularly hostile field for application for this methodology because the great interindividual variability may be often, unfortunately, responsible for significant sampling errors. Unfortunately the available evidence which is low on the specificity of neurorehabilitative programs is at the origin of a great variability of treatments in different hospitals and clinics. The best cognitive and physical neurorehabilitation programs are only defined by specialists who are able by themselves to perform detailed cognitive and neurologic assessment, who understand the complexity of the issues that are related to the neurologic recovery, and who know well the theoretical basis of neurology and neurorehabilitation.. In the field of neurorehabilitation I encountered some specialists with a very low scientific profile, insufficient clinical skills, limited knowledge of the rehabilitation literature, often proclaiming the good results of therapies which do not have any scientific or empiric evidence. “executive”, meaning that rather than performing primary cognitive operations, such as memorizing, speaking and seeing, the frontal regions control the deployment of such capabilities, which are carried out elsewhere in the brain. Therefore, the role of the frontal lobes is regarded as “supervisory” or “managerial” rather than being limited to the performance of any specific cognitive function. 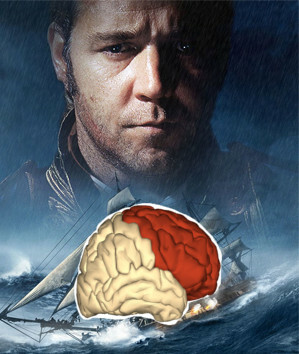 The frontal lobe is “the master and commander” of our brains. As per cognitive functions the frontal areas (as consistently demonstrated by fMRI studies) play a central role in working memory tasks. Working memory is the faculty that is responsible for the transient holding, associating and processing of new and already stored information, a fundamental process for reasoning, comprehension, learning and memory updating. Intelligent people or people gifted with the so called “fluid intelligence” generally have high capabilities of working memory. The frontal lobes are the “master and commander” of emotional and behavioral processing too. Evidence of the role of the prefrontal cortex in behavior and personality changes comes from the description of patients with frontal lobe damage. Such patients tend to be emotionally impulsive and poorly affectively regulated. Their behaviors include decreased concern with social propriety, environmental dependency, utilization, imitation and stereotyped behaviors, restlessness, exuberance, euphoria, facetiousness, extroversion, lack of restraint, purposelessness, childish behavior, distractibility, egocentricity, grandiosity, capriciousness and instability, social and sexual disinhibition, poor judgement, diminished foresight, social withdrawal, absence of tact, concreteness, acting on simple motivations, impulsiveness, self-centeredness, immorality, inertia, lack of ambition, indifference to the environment, satisfaction with inferior performance, slowness in thinking, bradypsychism, lack of emotional expression, decreased self-concern, shallow affect, depressed outwardly directed behavior and social sense, indifference, and alexithymia, lack of empathy and impaired theory of the mind (the ability to attribute mental states to others and to oneself), ritualistic or compulsive behaviors. Furthermore, several of these conditions may often occur together in the same patient. Damasio and Stuss suggested that all behavioral and emotional changes due to frontal system damage might be a personality disorder where lack of control and self-reflectiveness (vulnerability to interference, impoverished judgment, and inability to self-correct and self-monitor) are the key features. Hence, the DSM taxonomy of personality disorders (paranoid, schizotypic, antisocial, borderline, histrionic, narcissistic, avoidant, and obsessive–compulsive) seems to fit well with the so-called “frontal” behaviors. The rehabilitation of the individual with a dysexecutive/frontal syndrome is a true challenge for the clinician and requires complex multidisciplinary approaches. The Deese–Roediger–McDermott (DRM) paradigm (Roediger and McDermott, 1995) is a procedure to study false memories. In this paradigm, individuals are induced to falsely recall/recognize a nonstudied word (e.g. sleep), which is defined as the “critical lure”, through the previous study of a list of related words (e.g. 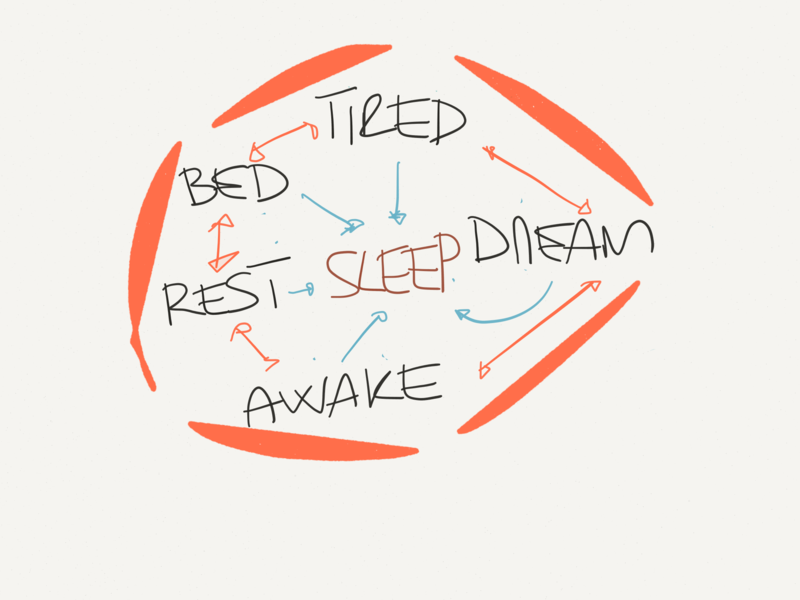 bed, rest, awake, tired, dream, etc.). Another example: individuals are presented with these words: door, glass, pane, shade, ledge, sill, house, open, curtain, frame, view, breeze, sash, screen, and shutter. These words that are strongly associated with the word window (the critical lure). When these individuals will try to recognize previously presented words (such as door, curtain, house, open etc…) in lists which contain also nonstudied words (as window) they will falsely recognize “window” as a studied word. This ‘memory illusion’ effect has largely proved to be a robust phenomenon whereby the false recall/recognition rate can be as high as the true recall/recognition rate. Furthermore, such false memories are incredibly associated with high levels of confidence. One hypothesis to explain how false memories occur in the DRM paradigm is that, when we hear list items during encoding or retrieval, we think about the critical non-presented associated word (the critical lure) because memory processes (once again in both phases of encoding or retrieval) spread through semantic (or categorical) associations. This could be at origin of some “familiarity feeling” with the word corresponding to the critical lure. The recognition of the nonstudied word (the critical lure) in successive words presentations could be the consequences of this sense of familiarity. Actually the degree of semantic association or strength between the studied words and the critical lure is critical for successive false recognitions. To overcome this natural and almost unconscious occurrence of such false memories (critical luries) we should use some powerful capacities of inner control and monitoring. Thus, these capacities could be enhanced when the initial encoding of the studied words is potentiated (for example associating verbal and visual stimuli, or pronouncing the word aloud) or when the subjects are warned that they could falsely recognize items basing on spontaneous associations. However, the DRM paradigm shows us how our recollection of memories could be easily influenced. Indeed it has been shown, as it was naturally supposed to be, that fatigue, sleep, emotions, age, gender, and mood states (anxiety or depression) influence the individual’s performances with the DRM paradigm. It is not completely clear whether and in which state of Alzheimer’s disease, patients perform with the DRM paradigm differently than normal subjects (matched for age and cultural level). The DRM paradigm has been also used to study amnesic patients with different pathologies, other form of dementia and schizophrenia. Unfortunately lists of words are quite variable across the experiments, and different studies can give different results within the same categories of patient. I always thought that is would be interesting to find persons who are able to overcome the natural tendency to produce false memories with the DRM paradigm. High power of control on false memories could it be one of the prerequisites of genius? Patients with the pusher syndrome are characterized to push toward the weak side of the body, generally the left side (on a coronal plane) after a right hemisphere lesion. This behavior puts them at high risk of falling. These patients resist to the examiner’s attempts of rectifying the correct orientation by pushing the body with the unaffected limbs toward the affected ones, generally on the left. A rarer « posterior » variant has been reported in which patients push posteriorly on a sagittal line. The pusher syndrome occurs in patients with acute right hemisphere stroke. It is less frequent with other brain diseases (tumors, multiple sclerosis). 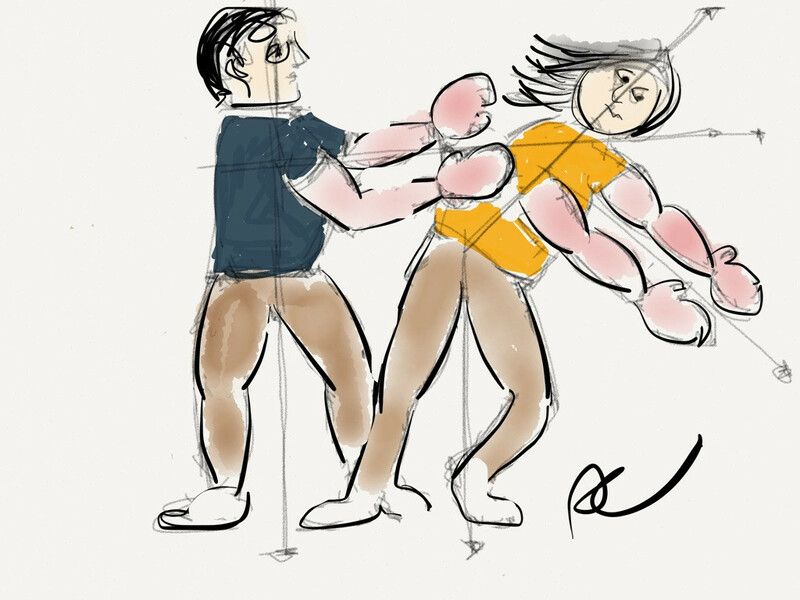 Rehabilitation of such patients could be challenging as the pusher syndrome appears the effect of a reflex behavior and the patients seem resistant to learn compensatory strategies. Patients with the pusher syndrome have longer times of rehabilitation in comparison to other stroke patients. Several scales are adopted in clinical studies to establish a diagnosis of the condition and to grade its severity (the Pusher index, the Melbourne Index Scale, the Scale for Contraversive Pushing, the Lateropulsion Scale). However, on a clinical perspective, the condition of the Pusher syndrome should be considered just when the patient is observed pushing constantly on one side, no matter in what position he is (standing, sitting or lying). The patient with the pusher syndrome pushes almost always toward the left side of the body and the syndrome is almost always associated, at least as I observed in my profession, with signs of left spatial unilaterl neglect (the condition of ignoring the left side of the body in several sensory modalities). The brain areas that can be damaged in patients with the Pusher Syndrome overlap with those that are associated with spatial neglect. Probably for the pusher syndrome, the damage of parietal thalamo-cortical connections is most relevant. The ultimate mechanism of the pusher syndrome could be an incorrect perception of the verticality of the body because of two combined conditions: a loss of sensory stimuli from the affected side and the presence of left spatial neglect. In this perspective, the pusher syndrome has been called also « graviceptive neglect ». Our perception of the gravity line of the body is constructed on the base of visual (the visual surrounding) and sensory stimuli (proprioceptive, haptic and vestibular body inputs) and it can be studied in a dark room by dissociating and manipulating experimentally the different stimuli. The pusher syndrome should be studied in the Space in the absence of gravity. 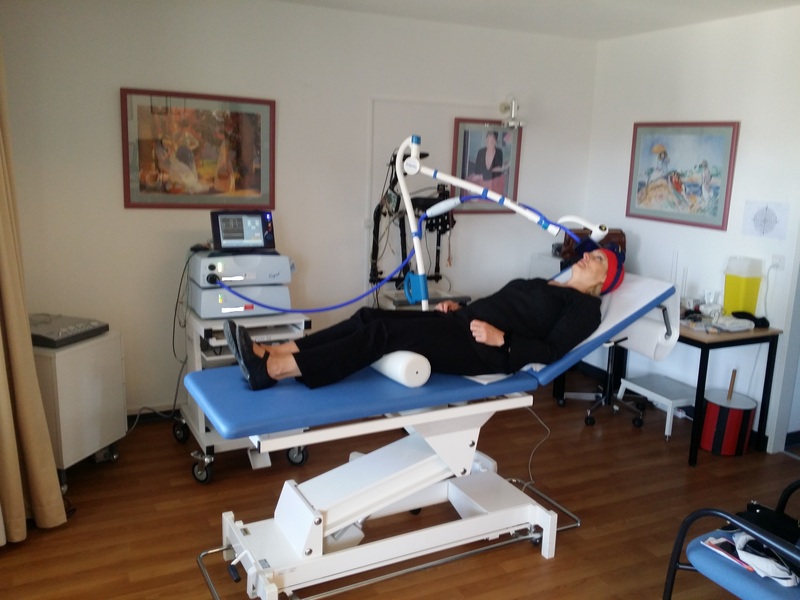 Rehabilitation programs should assess and recenter the body gravity line by adapting the patient’s movements and posture to all the sensory modalities, although there is, as usual, some controversy as per the sensory modality to prefer. This illusion is quite rare and I can remember on my fingers the patients with it whom I met, generally in emergency settings. For the majority of them the illusion was transitory lasting generally minutes and was accompanied by other neurological symptoms and deficits (vestibular and not). The room-tilt illusion consists of a clear and bright visual view of an upside down tilt (180 degree on a coronal plane) of the surroundings. 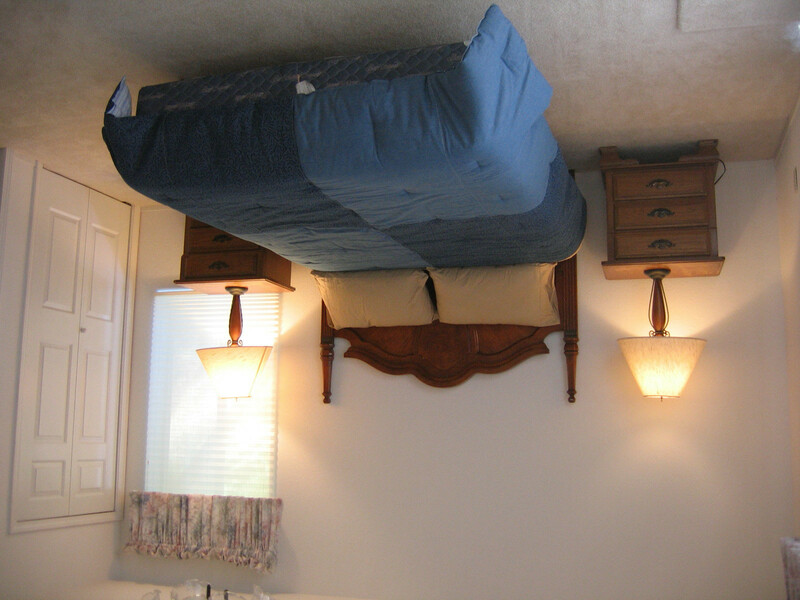 Even if in an upside down way, the walls and the objects of the room are perfectly perceived, without probably no distortion (or some sort of rotation). The patients are usually frightened about that illusion and think to have stoke. This illusion is generally considered the results of a lesion or dysfunction in the brainstem circuitries that connect the vestibular-otholitic system (the inner ear organ of equilibrium) to the higher brain associative visual areas (parieto-temporal regions and posterior insula). According to this last assumption, the room-tilt illusion is a syndrome of the higher central vestibular functions. However the exact neural mechanism of the room-tilt illusion is not yet known. Finally for the majority of these patients (as the ones I met in my profession) the responsible lesion is ischemic (AIT or stroke) and located in the lower brainstem areas. However, the syndrome is known to occur less frequently with pure vestibular disorders (such as Meniere disease, bilateral vestibular affections or benign positional paroxysmal vertigo), and also as a partial epileptic crisis (vestibular epilepsy) in patients with cortical lesions. I found the illusion also in a patient with multiple sclerosis whose neurological deficits worsened after a urinary infection, and in a patient with migraine who was hyperventilating during the migraine crisis. In the scientific literature, the illusion has been described also in isolated patients with Parkinson’s disease, cervical myelopathy, polyradiculoneuritis and cerebellar diseases (ischemic or degenerative). Finally patients with the room-tilt illusion have an upside-down misperception of verticality. In normal conditions the dimension of verticality is assured by an accurate interaction between the vestibular system (together with other sensory afferent inputs) and the visual system. The results of such neural processing is adapted to 3-D coordinates of the self and of the visual scene. When there is a mismatch between vestibular peripheral inputs (altered by the lesion) and the other sensory systems, the higher cortical centers (visual associative areas) must re-calibrate these abnormal signals and could do it with the result of a complete scene inversion on the coronal roll plane. The room-tilt illusion is a rare symptom, and generally it is transitory. Therefore, it would be quite difficult to study it with experimental paradigms, such as for example (the first one that came to my mind) measuring the speed and quality of reading of inverted and not inverted degraded words. We know that rotation of a furnished room in controlled conditions can reproduce the illusion only partially in normal subjects. We are so accustomed to see the visual world as it is that we are not aware at all of the complexity of the information that the brain process (in multiple regions) in order to let things appear at the right places. When the brain is damaged in his visual association areas the visual world changes, then we realize how much fragile is the consciousness and the awareness of the self. Things probably do not exist as they appear when they are not processed correctly by a visual brain. For arithmetic facts (i.e., table facts, such as 2 x 3 = 6), there is strong evidence that cerebral damage can cause selective impairments within basic arithmetic operations. However, to understand the brain underpinnings of arithmetic abilities, it is necessary to distinguish the process of retrieval of arithmetic facts from calculation procedures. Actually, several neuropsychological reports described isolated deficits within calculation procedures and some studies documented a double dissociation between performance in arithmetic facts retrieval and calculation procedures, even within the same operation. However, brain functional systems subsiding calculation procedures are still poorly characterized in comparison to functional systems of basic arithmetic facts. Dehaene and Cohen offered some explanations how calculation processes map onto brain anatomy (the “triple code” hypothesis). Regarding arithmetic procedures, the authors suggested that working memory, processed by dorsolateral prefrontal cortical-subcortical systems, is an essential component for problems that require the temporary storage of intermediate results, for instance during ”carrying over” or borrowing operations. A visuo-spatial store, supported by the same brain regions, is complementary functioning to keep on-line spatial layouts and digits of ongoing multi-digit calculation. Both phonological and visual working memory systems are part of a large network of areas in the left (for the verbal working memory) and in the right hemisphere (for the visuo-spatial working memory system) that includes temporal-parietal and frontal-subcortical regions. This view is different from the one proposed by McCloskey and colleagues that conceives the existence of three serial modules for calculation: input number processing, calculation procedures and output number processing. Within the module of calculation procedures, neural processes, whcih are specific and selective for each operation and independent from the retrieval of arithmetic facts, are presumed to exist. Based on a cognitive neuropsychological framework, McCloskey et al. 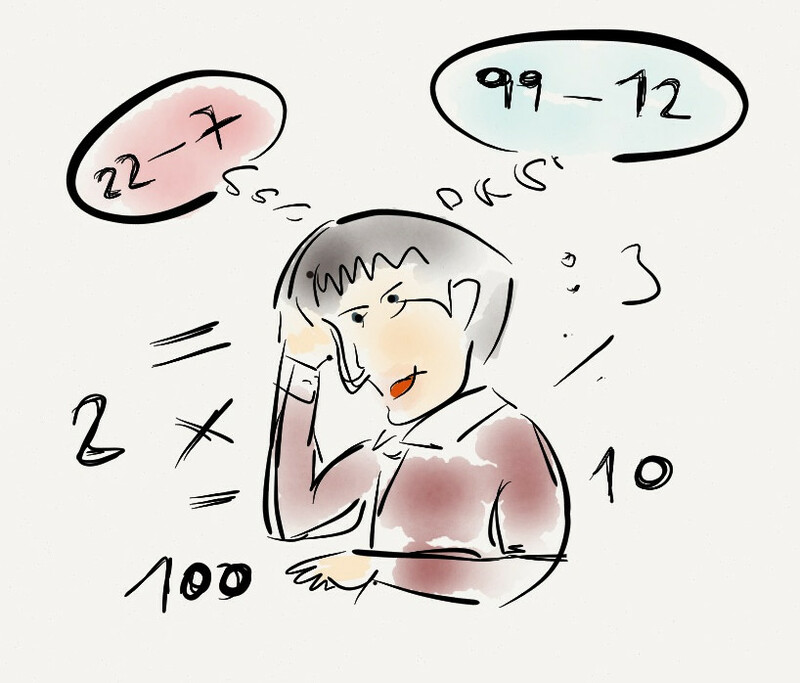 distinguish between disorders of number processing (reading, writing, producing, comprehending, or repeating numbers) and disorders of calculation (arithmetic facts, knowledge of procedures). Recent studies also suggest that number representation, arithmetic fact knowledge and procedural aspects of calculation should be studied with a specific within-task approach more than a between task approach and that individual differences in competences, training and in strategy use (procedural vs retrieval) can strongly influence arithmetic problem solving. Me and other authors published (Neurocase 2013;19(1):54-66) a case of a 69-year-old professor of mathematics, examined two years after a subcortical hemorrhagic stroke, who presented with a persistent form of dyscalculia exclusively limited to the procedure of subtractions with borrowing (i.e. great difficulties for operations as 22-7 when operations as 99-12 were easy to perform). Patient’s errors in subtractions with borrowing mostly relied on his automatic and inadequate attempts to invert subtractions into the corresponding additions (e.g. he used to transform 22-7=x into 7+x=22). The hypothesis is that difficulties with the inhibitory components of executive and working memory tasks (he had problems with the Stroop test and go-nogo tasks) could be responsible of this specific impairment for subtractions with borrowing. Clinical and experimental findings of this single-case study are compatible with both the Dehaene and Cohen’s model (as per the role of working memory and executive functions in calculation procedures) and the McCloskey’s model (assuming that brain lesions can involve selectively neural pathways for different calculation procedures). We further speculated, based on MRI findings of that case, that a deficit in subtractions with borrowing could be related to left-hemispheric subcortical damage involving thalamo-cortical connections. Do you assess calculation routinely in cognitive impaired patients? How do you do that? 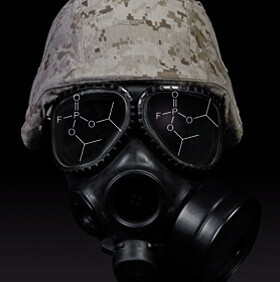 Although biological and chemical warfare are the aberration of medical sciences they will be always a subject of military studies as war is an unavoidable condition of the human nature itself. Although we should always avoid excessive alarmism, the neurologist should be prepared to public health emergencies that are the consequences of neurotoxic weapons. The use of nerve agents in recent conflicts (Iran-Iraq war [1984-1987], Goutha, Damascus ) and bioterrotistic actions (Tokio sarin attacks in 1994 and 1995) validate this assumption. Nerve agents (e.g Sarin, Tabun. VX) are able to cause human death in seconds at very low concentrations. Less than 1 mg of most of these agents can kill a man. Nerve agents cause an irreversible inhibition of the acetylcholinesterase enzyme (AChE), which, in its turn, enhances massive stimulation of the cholinergic muscarinic and nicotinic receptors, and leads to a life-threatening cholinergic crisis. The vapors enter first in contact with the eyes, resulting in myosis and painful loss of accommodation and dark adaptation. Other early symptoms are conjunctival injection lacrimation, rhinorrhea, salivation, diaphoresis, chest tightness, bronchorrhea and bronchial reactivity with wheezing, and respiratory distress (similarly to an acute asthmatic attack). Bronchorrhea could be so profuse to mime pulmonary edema. Nerve agents cross easily the alveolar-capillary barrier and systemic cholinergic symptoms manifest promptly (sweating, abdominal cramps, pain, nausea, vomiting, tenesmus, diarrhea, increased bowel movements and urinary incontinence). The cholinergic transmission of the heart and brain (which is particularly rich of acetylcholine receptors) is rapidly affected. The victims manifest bradycardia or tachycardia, hypotension/hypertension and signs of encephalopathy, such as headache, vertigo, dizziness, agitation, confusion, hallucinations, loss of consciousness, seizures and failure of the central respiratory drive with central apnea. Brain dysfunction is mediated by both the altered cholinergic transmission and hypoxia due to respiratory failure. Cholinergic overload on nicotinic receptors induces numbness, fasciculations and muscle twitching (even to a degree that mime convulsions) of the limbs. Tremor has probably a central origin. Successive ATP depletion and probably myonecrosis cause a diffuse ﬂaccid paralysis, which includes the diaphragm muscle. In war attacks, peripheral and systemic symptoms of nerve agent vapors could manifest almost simultaneously and death can occur in minutes. As these vapors are odorless and colorless, the victims, at the beginning do not fully understand the events, but they notice that other people around are severely ill or near death. Death is generally due to respiratory failure and suffocation. The narratives of survivors, seeing asphyxiating or seizing people around, are chilling. Nummular headache is the term given to a condition characterized by a continuous or intermittent pain that is felt in a contoured and fixed coin-shaped elliptic area (2-6 cm, usually as a 5 CHF coin) of the scalp, generally on the parietal area. Rarely the disorder could be bifocal or multifocal. Nummular headache is a form of epicranias (group of headaches and neuralgias stemming from epicranial tissues). The pain is generally moderate but patients can present strong exacerbations or disturbing tingling sensations or also allodynia and hyperpathy by touching or combing the hairs in that region. Rarely patients report this pain after muscular exercise, after Valsalva maneuvers or during menses. Some patients have some association of nummular headache and migraine (however, in these cases the evolution of the two conditions appear quite independent). Patients can rarely present some local scalp changes (for example alopecia). 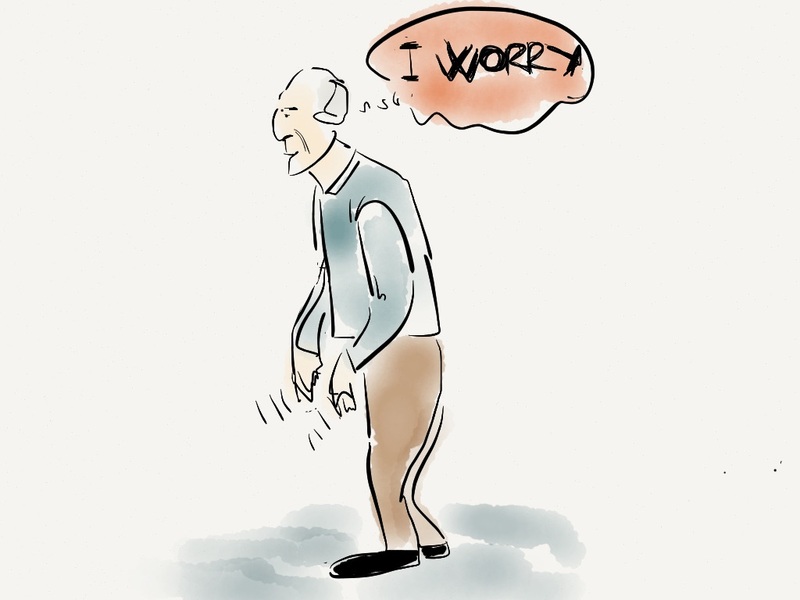 Patients generally fear to have some cerebral disorder and seek consistently for medical advice. Brain MRI or CT-scan are usually demanded to exclude secondary causes and to reassure the patients on the absence of brain anomalies. 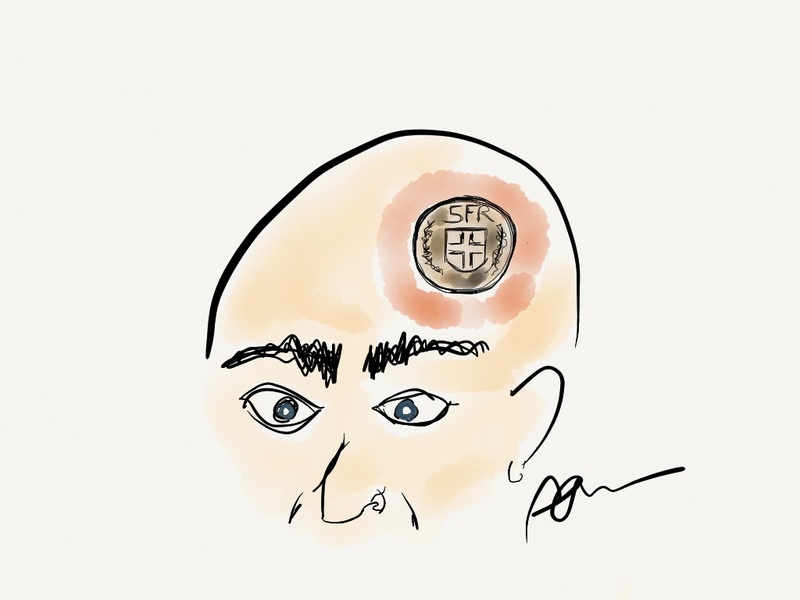 The reproduction of the patient’s pain by moderate pressure over that coin-shaped region or by stretching the scalp of that area (usually I do with the knuckles of my hand) indicate the local origin of the pain. This area is usually well delimited, and this is an important feature to retain the diagnosis of nummular headache. In the majority of cases, it is not possible to determine any specific cause to the disorder. The pain, for its characteristics, should originate from little nerve branches there. In exceptional circumstances, patients with nummular headache are diagnosed with meningiomas, arachnoid cysts, craniosynostosis, calcific hematomas of the scalp or other vascular anomalies (aneurysms or other) of the superficial arteries of the scalp. For this reason, during the clinical examination, the examiner should check for vascular abnormal pulsations or bruits over the scalp. In that cases scalp ultrasonography could be a useful investigation. Some patients develop nummular headache after transphenoidal or other meningeal surgery, which could suggest a meningeal or central sensitization mechanism for pain. A central or peripheral trigeminal sensory mechanism is also suggested by the fact that patients with pituitary adenomas might have pain referred to the vertex of the skull. Other authors suggested that the disorder is due to a local diminished threshold for pain even if for unknown reasons. Few patients with nummular headache were found with autoimmune disorders. Schwartz et al. made a review of 256 cases reported in the scientific literature (http://www.ncbi.nlm.nih.gov/pubmed/23616207). Treatment with Gabapentin could be helpful but generally is not curative. Other patients responded to amytriptiline, carbamazepine, indometacine or other NSAIDs or even to TENS application. Some patients improve with Botox scalp injections. I propose to try ice bags or cool spray. There are few data on patients who underwent scalp focal resections to treat the disorder. The scientific literature give few data on the long-term follow-up of this disorder. I think that most patients can have temporary or long term remissions which could be independent from any therapeutic interventions. Even if I diagnosed this condition for few patients, by examining the literature data, as also indicated by Pareia et al (http://www.ncbi.nlm.nih.gov/pubmed/19810895), I have the feeling that, once that a normal brain MRI excluded other possible primary disorders, in most of these patients, the treatment is seldom necessary and simple reassurance is sufficient. I think that nummular headache is still a mysterious disorder.